Frequently Asked Questions – BeachEast – Urban Beach Attraction – will not be on for summer 2018 – thank you to all our customers for your support over the last events and we look forward to seeing you hopefully in the future! 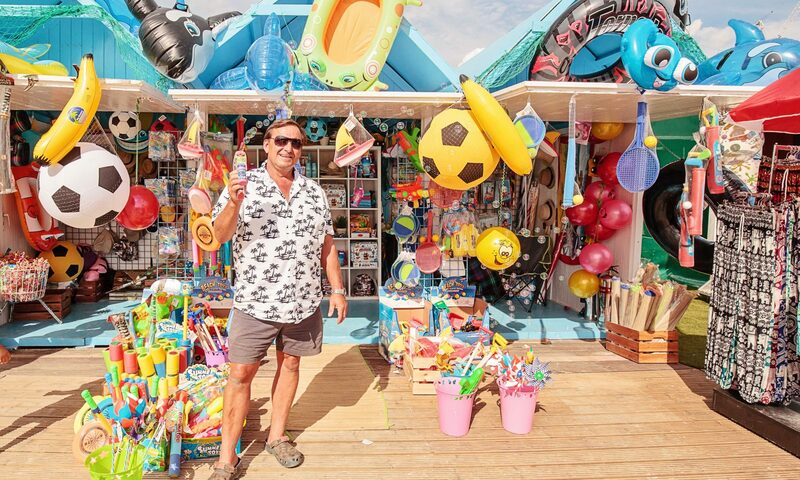 BeachEast – Urban Beach Attraction – will not be on for summer 2018 – thank you to all our customers for your support over the last events and we look forward to seeing you hopefully in the future! 1. Where is BeachEast Fun Park located? 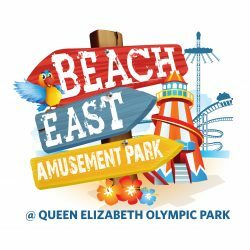 BeachEast Amusement Park is located in Queen Elizabeth Olympic Park. 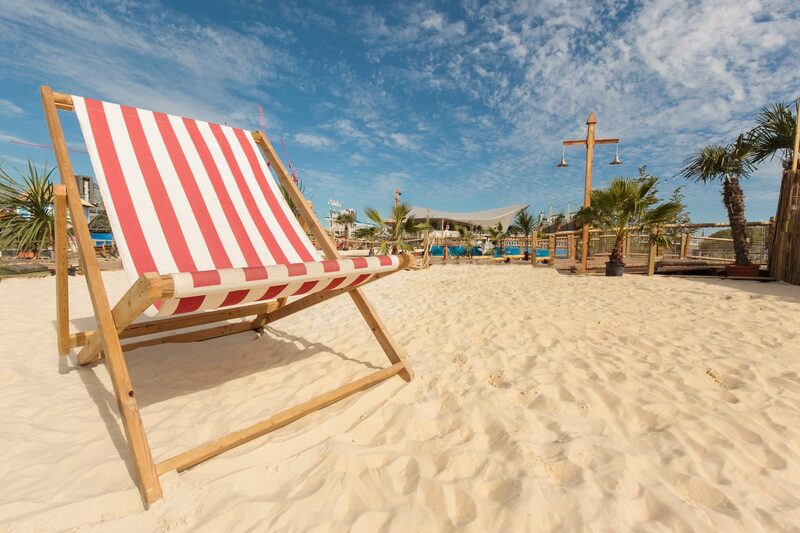 BeachEast Amusement Park is on Stratford Waterfront in Queen Elizabeth Olympic Park near Westfield City Center, between London Stadium and the London Aquatics Centre. The nearest train, tube and bus stops are at Stratford, Stratford International, Hackney Wick, Pudding Mill and Leyton stations. Coming out of Stratford Underground Station – take escalator or lift up to ‘The Street’ (which is the outdoor part of Westfield Shopping Centre) – follow it along as far as John Lewis, turn left and the Park is directly ahead of you across the road. You will not be able to miss BeachEast Amusement Park, right next door to the London Aquatics Centre. Use E15 2DU in google maps. For disabled access info from QEOP please click here. Public transport is the best and easiest way to get to and from BeachEast and Theme Park – by train, underground, bus or bicycle. Queen Elizabeth Olympic Park has some of the best transport links in London. There is no car park at the venue, however, Westfield Shopping Centre car park B (24/7) is only five minutes walk away. Click here for info. 2. When does BeachEast Amusement Park open and what time? BeachEast Amusement Park 2017 is open from Friday, July 21st until Saturday, September 2nd. Please note all Amusement Park attractions will open one hour after the site opening time. In the meantime, why not find a great spot on the beach by the pool, enjoy a cocktail at the bar or visit our food stalls. 3. Can I bring in a picnic this year? Due to Health & Safety reasons, food from the outside will not be permitted on site. Not to worry though, as you can have your picnic in the designated areas in the Queen Elizabeth Olympic Park. For more info please click here. For more information regarding the above exceptions please contact a member of staff at the entrance on site. 4. What is the entrance price? For BeachEast Amusement Park 2017 Site Admission please click here. For BeachEast Amusement Park 2017 Unlimited* Ride Wristbands please click here. For BeachEast Amusement Park 2017 Pay as You Go Tickets please click here. 5.Will there be wristbands for rides this year? BeachEast Amusement Park is happy to introduce the value for money Unlimited* Ride Wristbands. Guests will be able to access the site for free when purchasing one of our Unlimited* Ride Wristbands. For more information regarding restrictions, prices and rides please click here. We also offer the option of purchasing a Site Access Wristband priced £2 (children under 3 years of age benefit from free entry), with the possibility to UPGRADE to an Unlimited* Ride Wristbands. For more information please click here. Pay as You Go prices are available as well, with the prices ranging from £2 to £5. For more information please click here. 7. Can I bring my own alcoholic drinks? No. Only alcohol purchased from the licensed on-site stalls may be consumed on the premises, in the licensed area. Dogs are not allowed, exceptions being made for Guide Dogs. 10. Is Disabled Access available? The site has decking and astroturf which is level. There are a few shallow ramps. The Queen Elizabeth Olympic Park has mobility scooters and other access services. For details click here. 11. Are there any other Conditions of Entry? Bikes and scooters will not be permitted on site. ONLY one bag per person to be brought on site. A MANDATORY bag search policy will be in place. You must look after your own valuables on site. No glass is to be brought onto the site. Door staff reserve the right to search any member of the public. No dogs, except assistance dogs. Children must be supervised by an adult. 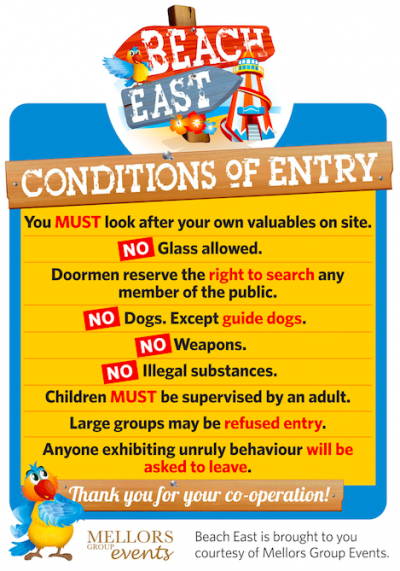 Large non-family groups may be refused entry. Anyone exhibiting unruly behaviour will be asked to leave. 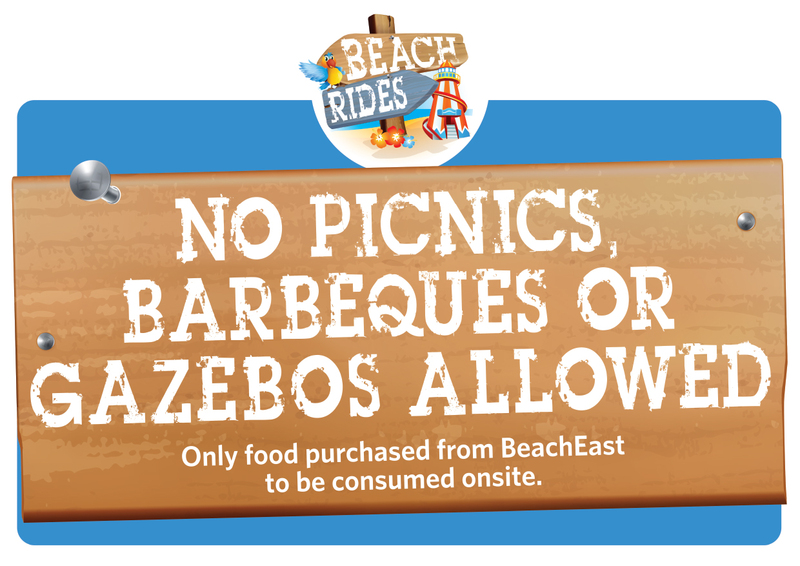 Please be aware that publicity and press photos might be taken at BeachEast at any time. If you do not wish to be in any photos you must let us know by speaking to one of our members of staff. Otherwise, consent to take photos of you and any children in your charge is assumed.